The more points you earn, the higher your membership status. Members will be invited as a Loyal Member or an Exclusive Member based on the total points or eligible room nights they earn during the year. 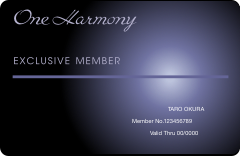 The upgraded membership status is valid for 1 year (April-March Cycle). When you reach the status upgrade criteria during the evaluation period (January - December), the membership status will be upgraded from the following month and it will be valid until the end of March in the year after next. Eligible room nights can earn for hotel stays reserved through travel agency. Please present your membership card at the time of check-in. If the status evaluation period changes during your stay, accumulated points and nights will count toward the status evaluation period of your checkout date. For example, if you check in on December 30, and check out on January 2, your points and nights will count in the new year. Loyal Members and Exclusive Members are also will earn bonus points. In addition to bonus points, Loyal Members and Exclusive Members will receive Stay Coupons and other benefits. You start 2019 with 800 points already earned. Now all you need to do is to earn 4,200 points more within 2019 to maintain your status. You start 2019 with 8 eligible room nights already earned. Now all you need to do is to earn another 22 eligible room nights within 2019 to maintain your status. * Applicable to eligible points or eligible room nights earned after Jan 1, 2018. * No change in the point validity period for redemption. * Your carried over points and room nights are updated in the end of every January in My Account.